It lends the DIY, subscription-free security system, until now glaringly deficient in this department, some semblance of interoperability with other smart-home products, including the Nest Learning Thermostat, Belkin WeMo, LIFX smart LEDs, and more. It also marks the start of a series of product upgrades and platform enhancements announced by the company earlier this year at the Consumer Electronics Show. The firm will soon begin shipping an HD security camera with motion- and audio-detection capabilities. Called iCamera Keep, the $149.99 camera will be the first of many new products that iSmartAlarm has lined up for release this year. The company currently offers a hub, two door/windows sensors, a motion sensor, two remote tags, and iSmartAlarm stickers as part of its $199 Preferred Package, while the $349 Premium Package also includes a security camera in addition to all of that. 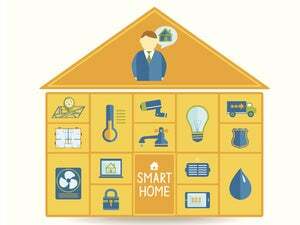 Other products on the company’s roadmap include a siren, a smoke alarm, a multi-sensor, and a water sensor. 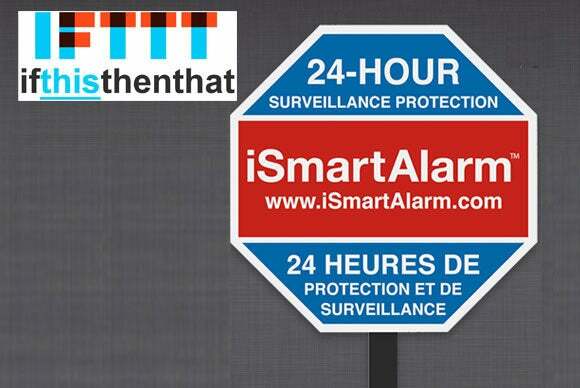 Why this matters : With IFTTT integration fast emerging as one of the touchstones by which connected-home devices are judged, it’s good that iSmartAlarm has finally ticked this box. Further, this development buys the Silicon Valley-based company some more time to integrate the system with other connected-home platforms, such as HomeKit, Z-Wave, and Thread.